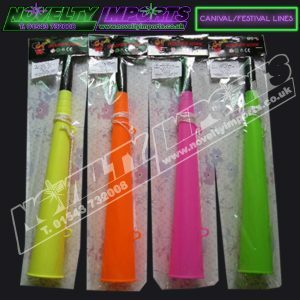 We are a specialist supplier of Novelty goods to the leisure industry. We are based in the Midlands and are associate members of the Showmen’s Guild of Great Britain and PTA UK approved school suppliers. We supply events such as festivals concerts charity and school fundraisers alongside theme parks circuses fairgrounds and holiday shops/market traders. 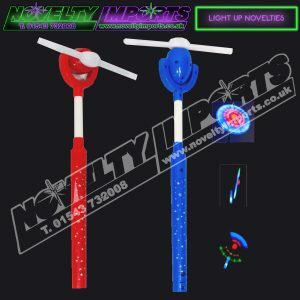 If you need novelty light up items, chemical glow wear, inflatable prizes, fundraising kits, lucky dip toys, plush soft toy prizes, and carnival/festival lines then you are in the right place. 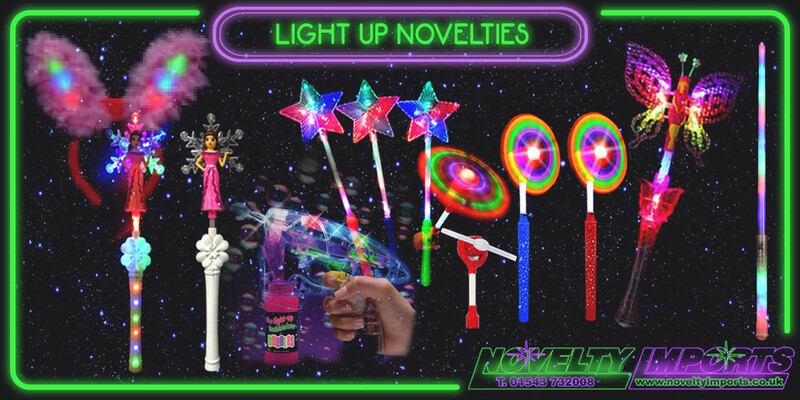 Novelty Imports are proud to stock a large range of flashing and light up toys. 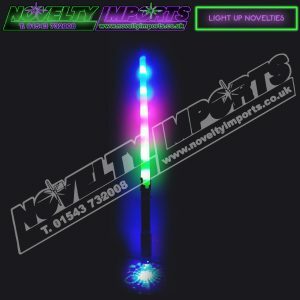 These all make use of LEDs to either illuminate or make patterns or sequences of light, meaning they don’t require much power and last a long time without breaking. The only things that need replacing will be the usual suspects, the batteries. You can easily source replacement batteries as they use standard sizes that we also stock. 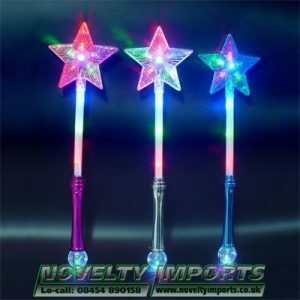 We provide this stock all year round and can include flashing bunny ears, fibre-optic torches, light up swords, spinners, wands and many more items. All items unless stated come with FREE batteries applied. 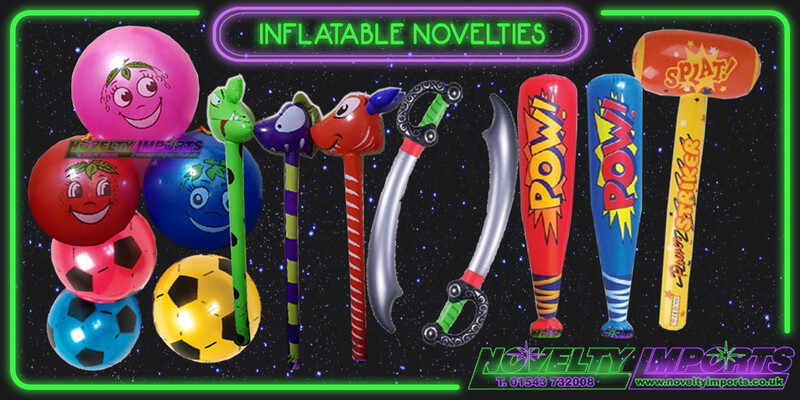 Other items in our vast range of goods include blow up inflatable prizes, great for prize every time stalls and fundraising school and charity events, this range includes smelly scent balls, footballs in nets, hammers, LED swords, animals, musical instruments and many more. 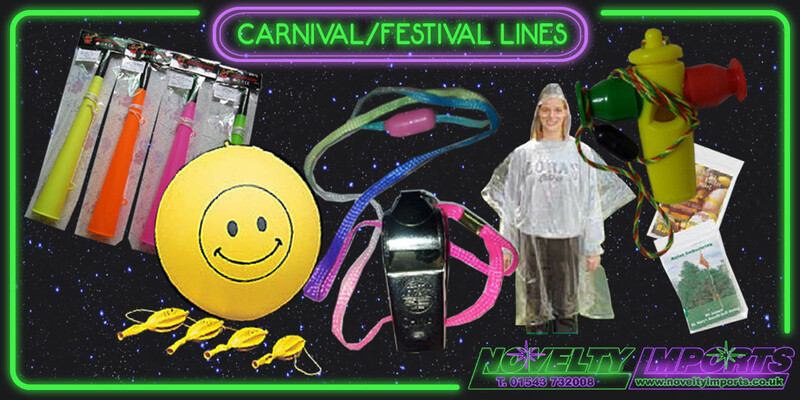 Our festival/carnival range of goods cater for many outdoor and street events and includes popular lines such as metal whistles, woofer cheer horns, air horns, hand flags, rain ponchos, balloons and more. 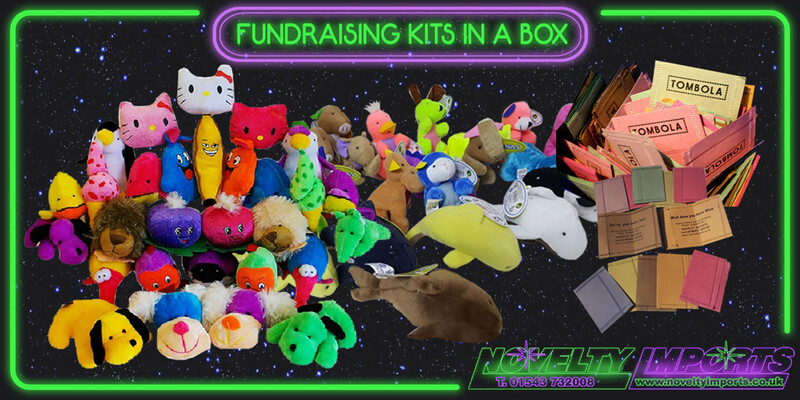 We are now proud to introduce our complete fundraising kits in a box. Ideal for school and charity organisations that need everything ready to go! 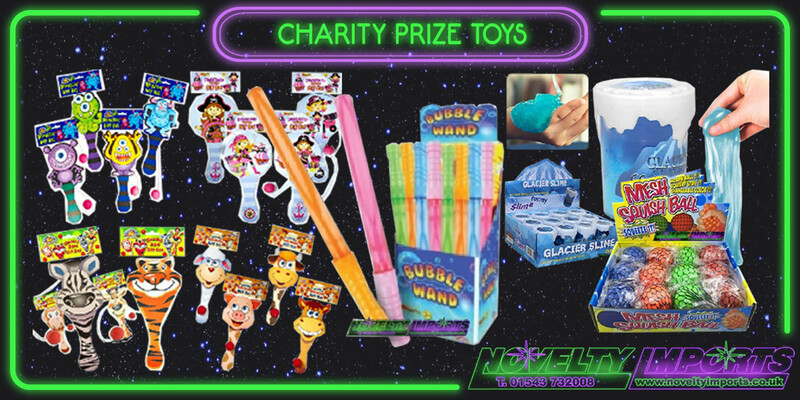 From soft plush toys, inflatables and big carded toys these kits come complete with winning or prize every time novelties and our very own Novelty Imports win/loose crimped pick tombola tickets. So easy to use and set up and generates a huge amount of profit for the event. Check out or products page to see our full range of goods. And be sure to like us on Facebook or follow us on Twitter for exclusive latest offers and discount codes. Please check out our FAQ page for answers to our most popular questions and our Terms & Conditions page before placing an order. This item has mass appeal, from school and dance productions to festival/concerts/parades and good old fashioned hen nights. Comes in the 4 nice mixed colours of pink/blue/yellow/clear. Each tambourine lights up with flashing led’s. Bag packing with header card, comes complete with 3 x replaceable AG13 batteries with protection tab. 24/pc inner cartons and 96/pc to a full carton. Just arrived and great value. These fantastic bounce tangle knot balls start to flash bright when they are bounced or hit. 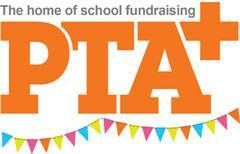 Come in 6 vibrant colours and will be an ideal school prize every time win or lucky dip gift. Has great scope for a day and night line. 12/pc counter top display box and 144/pc in a full carton. JUST ARRIVED! Very HOT property these new squeezy animals are not only a stress relief toy, they are filled with foam beads and has a sticky feel on the outside that make them splat and regain shape when thrown against a flat surface. Kids will go wild for these so get them fast! 5 mixed designs individually sealed bags in 12/pc colour counter display boxes and 144/pc to a full carton. Bounce it stretch it & mold it. A great new line following on from the success of slime. This is the foam bouncing putty tubs. Come in 6 great vivid colours, it has a soft foam feel to it and is all the rage with children. Ideal as prize every time wins and lucky dip fundraising alongside gift shops and market traders. 24/pc counter top display boxes. Following on from the success of slime, here is the all NEW magic cotton sand pots, this is very hard to describe! Imagine sand that you can sculpture and create with that does not feel wet! well that is magic cotton sand. This item is going to be a HUGE hit with children and will be a great budget value prize every time or lucky dip fundraising prize. LTD stock so be quick. 36/pc in counter top colour display boxes. We are an experienced online wholesaler. We pride ourselves on providing you the best service possible. for latest news and discounted offers!